Australia has one of the highest rates of pet ownership in the world with over two thirds of households owning a pet of some sort. Quite simply put, pets are part of the Australian way of life. To fur-parents across the country, this is not news to them. They are considered part of the family. We already know that pets give great companionship, reduce blood pressure, encourage exercise and increase social behaviour. Particularly for people living alone or without children, pets are more often than not closer to them then their human family member. Pets teach us responsibility, show us unconditional love and without doubt make us smile. It is said that people with pets are generally happier than non-pet people. 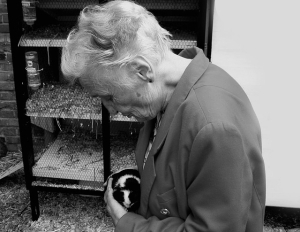 Documented scientific evidence has proven time again that pet’s provided a significant benefit to the aged. Many people entering an aged care home, palliative care or long term hospital care often have to give up their pet. This is their greatest time of need and the thought of losing their best friend must be devastating and can have a serious effect on the person’s wellbeing. So why is it only a small number of Aged Care Facilities, Hospitals and Respite Centres are taking advantage of a pet’s natural therapeutic health benefits? Allowing pets to visit an aged care home can give residents, visitors and the staff the chance to enjoy the benefits of a pet without the responsibilities and costs associated with ownership. Some aged care facilities are even starting to have ‘live-in’ pets, such as dogs, cats or birds for all residents, visitors and staff to enjoy. There are also a growing number of organisations that provide a “pet therapeutic service” directly to the aged care sector. The service provided varies from organisation to organisation, however a small number offer “therapeutic dog volunteers” while other organisation are privately run and the facility pays a fee for regular visits. 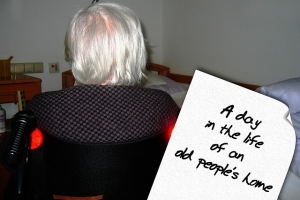 This is usually incorporated in the residential fee payable by the resident in care. 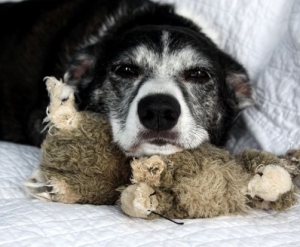 With so many rescue groups desperate to find safe homes for a growing number of orphaned dogs and cats, surely aged care facilities could offer a perfect option for their bulging foster care or adoption programs? Imagine the countless years of pet ownership experience from all the residents in each facility. Elderly dogs or cats looking for homes would benefit from this calm environment allowing them to live out their own twilight years. Vet students may consider offering pro-bono work as a community service by helping out with the general health and care of resident pets along with transportation to and from in-hospital veterinary care as required. A much greater focus should be spent not just on the physical health but also the mental health of our ageing community. Pets hold the key in all paws to truly one of the most undervalued yet most effective forms of therapy around. It would seem with greater thought and initiative from the facilities themselves, animal professionals, vet students, volunteers and shelters across the country surely everyone could benefit? Previous story Off Leash Dog Parks..Luv ’em or Hate ’em?